Olivia approached me in 2015 to help them define everything about their chatbot. 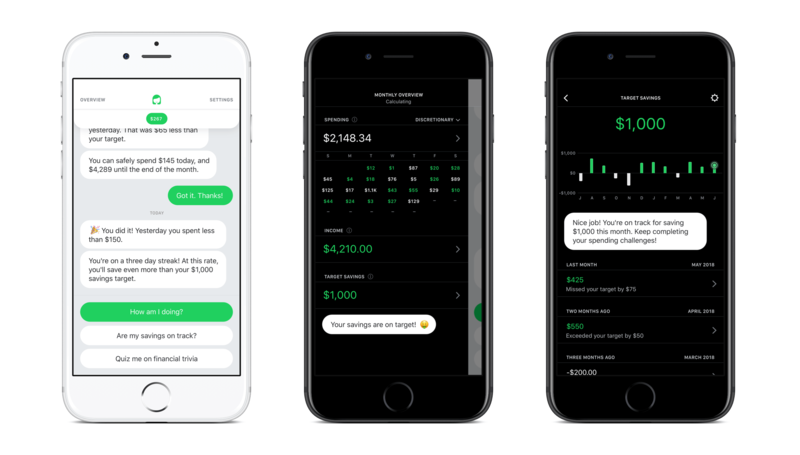 I worked with the three founders to give Olivia a voice and create a compelling set of features to help millennials manage their money. I started by sketching out a variety of options and building paper prototypes to test with the founding team. While we knew that chat would be at the center, it took several iterations to find the right UX for the other important features. While I was brought on as the designer, I eventually owned responsibility for establishing Olivia's voice, personality, and authority. My role evolved from app designer to marketing designer and strategist as the team relied on me for long-term thinking about where Olivia would go in the future. I designed, coded, and wrote Olivia's website, which helped Olivia generate a huge waiting list and land it a spot on Apple's tv show "Planet of the Apps". Olivia's UX focused on dark and light themes. All conversations used the light theme, reminiscent of other chatting apps. Swiping to the left or right would bring the user to their Overview and Settings sections, which inherited the dark theme for clear separation between chat and UI. 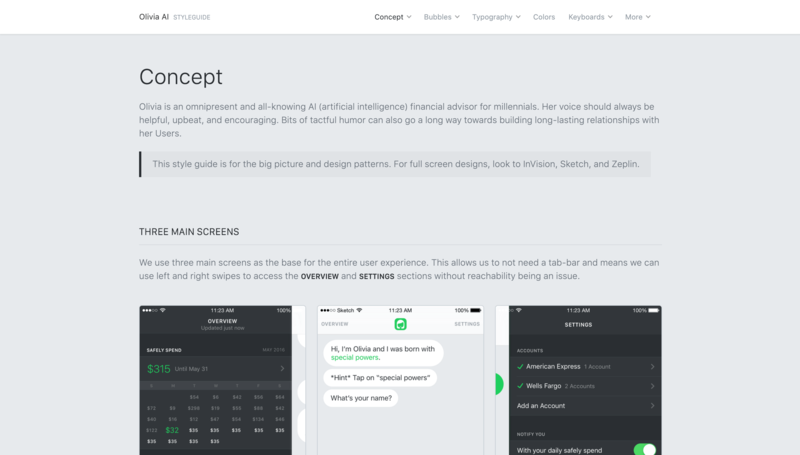 For the first version of Olivia, I designed, developed, and wrote a detailed style guide. The style guide gave exact details on how to build specific features, as well as thorough reasoning on why we were building them. Olivia has thus far been a tremendous success. Years later, our team gained acclaim from Planet of the Apps, has raised multiple rounds of funding, and developed key partnerships with banks and other financial institutions with more than thirty thousand users. I know how to bring designs to life. My coded designs are detail-oriented and literally save partners tens of thousands on front-end development. Thanks for reaching out! I'll get back to you shortly. Oops! Something went wrong. Can you try again?